Lecturer in Design V, Technical Design Studio V, Project Management V, Theory and History of Architecture V, Coordinator of Technology V, Coordinator of Theory and History of Architecture. As an architect, I design the spatial experience. As an educator, I promote spatial exploration. The vocational training of an architect oscillates between being precise and comprehensive. New knowledge is generated through inductive and deductive approaches. Process taking precedence over product is one of the most important lessons in architecture. This career choice requires lifelong learning. Graduates should effectively integrate theory, design and technology, while preparing for their future leadership roles. My primary role is that of a facilitator. I act as a journey master, guiding students by asking questions, exploring possibilities and suggesting alternative solutions. This approach cultivates independent thought and action with students applying principles. It is paramount for students to find their “own voices” and develop an inherent ability to perform optimally in challenging environments. The two main components of architectural scholarship are the design studio and the classroom. Within these environments, a wide range of learning methods are employed. My academic focus rests on establishing critical engagement with students by facilitating the design process and not being fixated on a final product. It is important to consider student’s prior knowledge and experience. Learning is not necessarily the result of teaching and learning does not necessarily require teaching. It is important to create a learning environment where students “want to learn”. An inclusive learning environment offers support and motivation. The positive learning environment and student-lecturer rapport go hand in hand. Approachability, trust and respect are the biggest contributors towards this relationship. To achieve effective learning in architecture, I employ Process Oriented Guided Inquiry Lessons, including both constructivist and social components. Using real world problems (often including a social agenda), I challenge students to explore established norms. Students, are motivated through a metacognitive approach. Students who have the ability to critically engage with their own abilities are often able to analyse their strengths and weaknesses. I frequently guide students to “play their strengths while developing their weaknesses”. An architecture school has to be approached as a laboratory representing reality. At the same time, it has to be a safe place where exploration and failure are allowed. The design studio is considered by many as the essence of truly great architecture schools. Design teaching should facilitate investigations of real world problems in real time, while developing the professional competence of the students. Amira Omer Siddig Osman is a Sudanese/South African architect/lecturer/researcher. Professor of architecture at the Tshwane University of Technology. 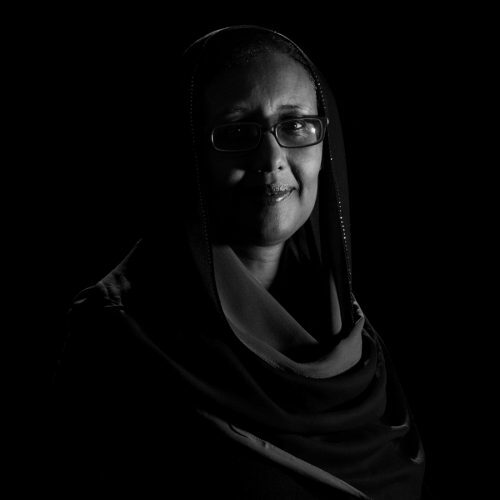 Amira studied at the University of Khartoum in Sudan in 1988 (B.Sc.) and 1996 (M.Sc.). She also obtained a diploma from the Institute for Housing Studies in Rotterdam (IHS) in 1992 and PhD in Architecture from the University of Pretoria in 2004. She worked as an architect in Khartoum during the period 1988- 1997 with various practices on small and large projects and was a United Nations Volunteer (UNV) in Maseru, Lesotho 1997-1998, as an architect with the Department of Public Works. She has participated in a number of projects in South Africa including a hostel upgrade and designs for social housing in Pretoria. Amira is a registered Professional Architect with the South African Council for the Architectural Profession (SACAP) and while her focus is academic and research-oriented, she continues to practice on a small scale. Amira taught at a number of institutions for about 30 years, with 10 years at the University of Khartoum, 11 years at the University of Pretoria and 5 years at the University of Johannesburg. Amira contributed to the conceptualisation of the honours programme at UP and ran it for several years. She also managed the first master’s studio at UJ in 2012 which helped lead to the full accreditation of the degree in 2013. She established the Housing and Urban Environments (HUE_UP) research field at the University of Pretoria and at the University of Johannesburg. She also established UJ’s research and academic UNIT 2 “Architecture and Agency: DESIGN | MAKE | TRANSFORM” in 2015. The unit focused on the promotion of Open Building thinking and practice, exploring relevance and applications in the South African context. Amira’s teaching has focused on Housing and Urban Policy and she currently runs the design studio for the professional master’s studio at TUT. She previously worked as a Senior Researcher at the Council for Scientific and Industrial Research (CSIR) in Pretoria (2010-2012) where she collaborated with a team from the Department of Human Settlements, the South African Institute of Architects (SAIA) and other councils and private sector representatives in the development of ten points for sustainable human(e) settlements which she proceeded to disseminate widely. Amira was one of the conference conveners for the World Congress on Housing in 2005 at the University of Pretoria and the convener of the Sustainable Human(e) Settlements: the urban challenge, 2012, hosted by FADA, University of Johannesburg and its partners. She also served as UIA 2014 Durban General Reporter and head of the Scientific Committee for the International Union of Architects (UIA) and the South African Institute of Architects (SAIA). •	To allow graduates to re-invent roles for themselves in the work environment if the need arises. I am currently running the professional master’s studio at the Tshwane University of Technology (TUT). I aim to empower the students towards exploring their own identified themes/programme/sites, within the context of the department’s research focus areas. The course offers support and direction to each student based on their individual needs, increasing their skills and knowledge and enabling them to enter the profession with confidence. I aim to encourage the sharing of the students’ personal backgrounds in their diverse living spaces and unique spatial encounters in cities and rural area. I also try and emphasise that all experiences are legitimate and that there are always multiple meanings/interpretations to space and the built environment. I have constantly aimed to elevate to “mainstream” what is considered “alternative” towards the transformation of the profession. My teaching approach is underpinned by a theoretical framework based on ecosystem thinking, open building and the concept of ‘catalysts’ as an approach to community engagement. My design teaching practice has focused on instilling the values of citizenship and design activism by emphasising the belief that design can make a difference and serve a higher purpose. I have done this by tapping into the unique skills of architects in addition to borrowing from other disciplines. In my courses, architecture is presented as a social act, based on social agreements, serving the needs of ‘the individual’ as well as ‘the collective’, and helping to manage the relationship between them. The influence of John Habraken in my teaching is key. The events at South African universities over the last few years have forced us, as academics, to reflect and re-assess our methods of teaching, engagement in the classroom and in the broader community as well as deeply question the content of what we deliver. For someone who has been entrenched in a particular way of ‘doing’, this has been something of a refreshing and welcome shock. As an ex-colleague said “#feesmustfall has been my education” (Claire Rousell at a STAND, FADA, UJ workshop titled “The possibilities of multimodality in a decolonized art/s education”). I have become a “reflective practitioner” and a “professor of protest”. I consider myself an activist – my own particular form of activism – with regards to issues of housing and human settlements. When expressing frustration about lack of change in the field, a colleague said: “Be consistent, and keep repeating your message.” (Ahmedi Vawda) This is a message I have taken to heart. I aim to encourage interdisciplinary investigations and sources of information are diversified as far as possible to allow for different viewpoints and to avoid a one-sided view of the complex topic of residential components in cities. My focus acknowledges that design considerations must influence, and are influenced by, policy, procurement and management processes. I aim to expose the students to alternative visions for South African built environments. The visions presented address the whole housing “eco-system” reinforcing the idea that there can be no solution to low-cost housing if it is not acknowledged that it is integral to the city – and thus the debate on low-cost housing should be integral to any debate about the city as a whole, including the wealthy suburbs. The aim is towards achieving mixed residential environments in terms of tenure, typology, income groups, functions and densities. It is believed that this would generate vibrant, attractive, integrated environments in which the pedestrian is the priority. My courses are premised on the idea that there are economic, psychological, cultural and social disadvantages because of the spatial realities of South African cities and living environments. The students are encouraged to think beyond free houses to considering sustainable human settlements that include houses + socio-cultural amenities and job opportunities at neighbourhood level + buildings and the ‘in-between’ spaces. By rethinking the use of diverse funding streams in housing it is possible to allow for balancing individual needs with collective needs and allowing for housing to be an integral part of all city developments in well-located, mixed income, mixed function, mixed community settings. Mr Malesela John Victor Mokaba is a Professional Architect and graduated from Tshwane University of Technology. In his final year of studies, he finished as one of the top 5 students and received a distinction for his dissertation titled Memory Bank: a digital genealogical archival repository in Pretoria West. He was appointed as a lecturer at the department of architecture at Tshwane University of Technology where he is currently coordinates the third year programme and teaches third year design and construction. Prior to joining Tshwane University of Technology, he was involved as an assistant in an elective titled Landscapes of Worship at the University of Johannesburg’s Department of Architecture. Victor is the co-founder of Between Cities: a platform encouraging collaborative exchange between Pretoria, Johannesburg and the world. He has been involved in and worked on various projects ranging from commercial, high-end residential and mixed-use developments. Victor has a keen interest in empathetic architecture, heritage and conservation, and construction and detail driven design. I believe that architecture is a thoughtful process bringing together multiple elements, both seen and unseen, culminating in built from. A process riddled with questions that arise through curiosity. My primary goal as a teacher is to encourage students to make design work hard by making mistakes in the process of making architecture and to see mistakes not as failures but as forms of exploration while searching for solutions. I use the questions ‘how’ and ‘what if’ to cultivate critical thinking, encourage curiosity and exploration and to encourage students to interrogate the possibilities, opportunities and implications of each decision made in the design process. My focus is based on teaching students to take into account social dynamics, spatial experience and inclusion followed through by ease of construction in order to blur the line between design and construction. 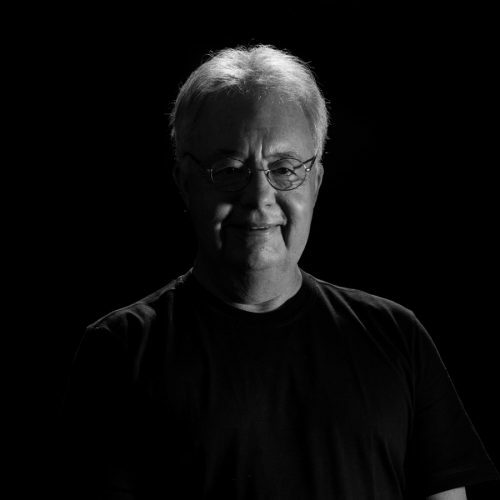 Siegfriedt Schmidt completed his architecture studies at the University of Pretoria in 1980 and has been lecturing and practicing architecture for the past 35 years. He is a Senior lecturer at the Department of Architecture at the Tshwane University of Technology, has published articles on architecture in the popular press, was Editor-in -Chief of ARCH:TECT:VE and received various awards for architecture in both professional and academic fields. He has delivered numerous papers and keynote addresses at conferences on four continents. Architecture is possibly the most complex of professions, embedded in the layered multitude of skills and knowledge embodied in its practice. The learning process to master this is acknowledged as one of the most difficult and demanding any student can experience. Facilitating this process is even more challenging. It is not the product of a singular personal input as facilitator, but a result of a collective of all the influences encountered from within and without the learning environment. I believe it is our responsibility to work with sensitivity to the greater mission of our school, the programme and the context of the student experience at any point in time to make the collective an enabling cohesive. Above all, sensitivity to and awareness of the individual experience is imperative to the positive development of the student. Creating an environment conducive to developing and growing in architecture hinges on the establishment of a learning space where students feel safe, despondency (although inevitable from time to time) addressed, and confidence built. Without confidence learning becomes difficult and design impossible. When working with the minds of students in preparation for their life within the profession, the core of the approach is to develop young professionals that will make a direct, positive contribution to their immediate community, to the broader community and the economy wherever they may choose to spend their working lives as part of the profession of architecture. Students are encouraged towards developing an appreciation of the values of producing appropriate, responsible, sustainable architecture, and in the knowledge, skills, approach and work ethic to enable them to do so. Being part of the formative years of young people is a daunting responsibility. One which I believe is only possible to fulfil within the tenets of an environment of trust and caring. 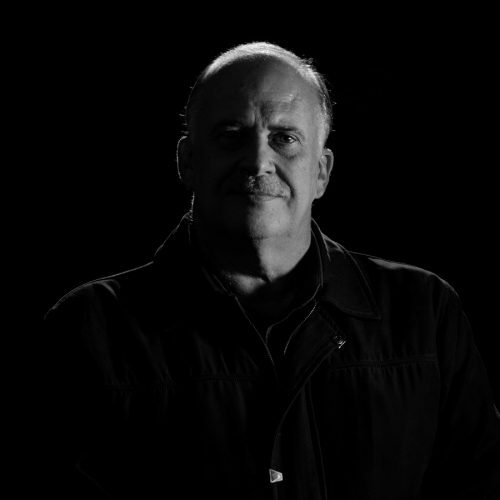 Petrus Albertus, or Pieter Greyvensteyn is a South African architect/lecturer/researcher. He is a senior lecturer at the Tshwane University of Technology. His formal education included studying at the University of Pretoria (1985-1987), and the University of Cape Town (1989-1991) (B.Arch). He did research on the user experience of architectural space at the University of Nantes, France (1996-1997). He completed his M.Arch by research titled: Montage: the image of space/time in film and architecture at the University of the Witwatersrand (2003). 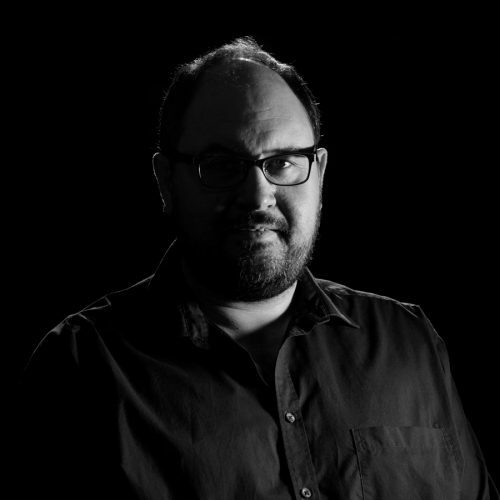 Pieter is a registered professoinal architect with the South African Council for the Architectural Profession (SACAP) and a member of SAIA and the PIA. He worked with various practices in the United Kingdom in 1988 and 1989 doing heritage work, adaptive reuse and housing projects. He worked with a number of firms in South Africa, doing residential to commercial projects, from 1991 to 1994. He has done part-time architectural work on his own, mostly conceptual and up to sketch plan stage, for 25 years. He also does fine art – painting in mixed media. He has participated in various group exhibitions and one solo exhibition over his 25-year career. Pieter has taught at a number of institutions, including Technikon Northern Gauteng (1994-2000). He helped to establish a new School of Social Architecture for the Technikon North West (2001-2006), with co-operation of the government’s Housing department. He joined TUT in 2006. His research interest is Architectural Design Pedagogy. He initiated a study tour to Maputo, Mozambique in 2008, which became part of the syllabus. Since inception, eight groups completed the tour and a subsequent design project. The students designed appropriate structures for this particular climatic region. These projects and findings will be published under editorship of Professor ‘Ora Joubert as a book: Afri-Can design: Maputo and the spirit of place. He also presented the student work done in Mozambique at an international conference in Cordoba, Argentina in 2009. 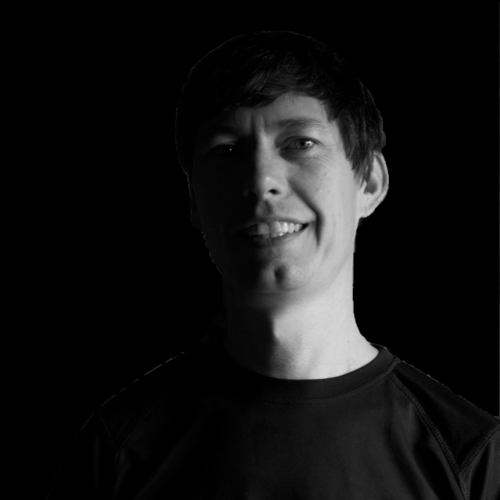 Pieter is currently a full time lecturer in the Department of Architecture at Tshwane University of Technology. He teaches the design and theory studios, on final year Bachelor and Master’s level. He has been working with his fourth year students since 2014 in creating concrete furniture, as part of the Cool Capital Biennale, and the pieces are installed all over the Pretoria city centre, as well as on the TUT campus. 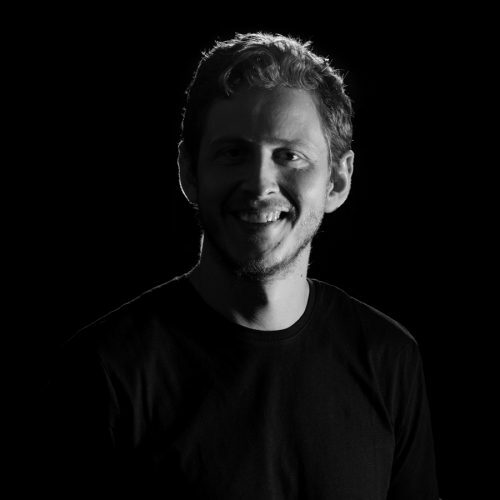 Pieter teaches the design and theory studios in the final year (4th) of the Bachelor Degree. On post-graduate level he teaches theory and is a design supervisor for Master degree students. His main philosophy in the design studio is to create an environment that is conducive to creativity. According to him, three key factors can contribute to creative output in the design studio. First, it is about exposure. The best exposure is first hand, that means facilitating the use of real sites in design exercises, and supporting trips and excursions to relevant architectural precedents. Travelling as a lecturer helps one to have and share a more accurate reading of architecture and the urban condition. Every design principle taught will be done using architectural precedent. Exposure at the university includes sourcing the right books and magazines for our library, and years of experience allows one to choose the right publishers and titles. Similarly exposure to architectural precedent need to be selective. The best way to to support an argument in the design studio is to refer to precedent. Secondly, it is about creating a supportive environment. Design requires you to expose yourself through your ideas. It is very important to build the designer’s confidence, because they need to trust their instinct. Critique sessions should always focus on the positive elements of a design. To support a student does not exclude pointing out the problem areas. The philosophy is to help the student understand what it is that makes their response inappropriate and to offer alternative solutions. Thirdly, it is about dreaming, discovery and finding new ideas, and in the process documenting it. The environment at a university is free of demanding clients, or shoestring budgets. Exploration is key. The student must be allowed to experiment and try new things. They should be encouraged to think outside the box. The process is key, but so is the oitcome. The student has to produce a tangible object in the design studio. Because architecture consists of many parts, all proportional to one another, the only way to explore it is three-dimensional and to scale. The physical model – from conceptual and working models, to detailed scale models – is the closest in understanding and representing architecture. 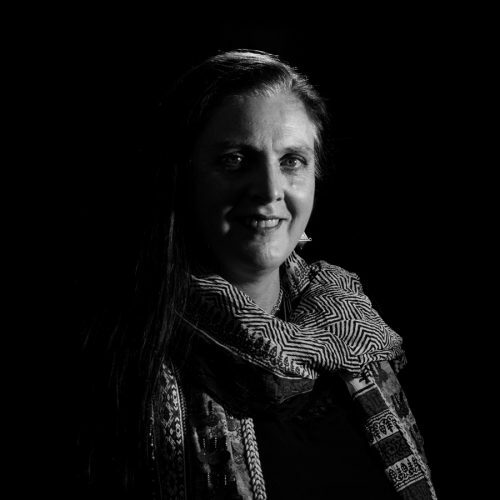 Marinda Bolt is a South African architect and lecturer. She studied architecture at UP from 1983 and obtained a bArch degree in 1990. Marinda currently lecturers various architectural subjects at the department of Architecture at the Tshwane University of Technology. During her studies she worked as a student and candidate architect at various architectural firms, where she obtained experience working on a wide variety of projects, including residential buildings, housing complexes, lodges, schools and industrial buildings. Marinda is a Professional Architect registered with the South African Council for the Architectural Profession (SACAP) and is a member of South African Institute of Architects (SAIA) and Pretoria Institute for Architecture (PIA). While her focus is academic and teaching orientated, she continues to practice on a small scale at Bolt Architects. Over a period of 24 years Marinda has taught at a number of tertiary education institutions, which period includes a period of 5 years at Pretoria Technikon, 5 years at Inscape Design College, 8 years at the Department of Interior and Graphic design Tshwane University of Technology and 20 years at the Department of Architecture Tshwane University of Technology. Marinda contributed to the conceptualisation of the outcomes based program for interior design at Inscape Design College and developed the B.Tech degree for the Interior Design department of the Tshwane University of Technology. She was responsible for the design, theory of design, construction and specification subjects at all the mentioned institutions. She has lectured students enrolled in all the years of study, from first year to final thesis year. Since 2012 she is the Head of the Graduate school for the Department of Architecture, and the 3rd year coordinator until 2017. She also assisted during SACAP’s accreditation of Architectural Learning Sites in 2007, 2012 and 2017. She has been external examiner at various universities, (UP, UJ and UFS) on both graduate and post graduate level (B.Arch. and M.Arch.). Marinda’s teaching incorporates travel and exposing students to different people and cultures through organising visits to local and across-border destinations. Exposure to different peoples and cultures and understanding the socio-economic context helps students learn from first-hand experience. Visits to local inner cities and manufacturing plants also makes for a better understanding of their study field. My teaching approach is founded on the pragmatic. It’s origin dates back to my childhood. My father was a high school teacher that constantly fiddled with our house. I often accompanied him to the local hardware store. In this world of endless projects, he regularly sent me off to find something new in the store. I could choose anything. It had to be a new object, something that I didn’t know. Every time it was a new discovery. The found object gained meaning when I was tasked to find a use for it, or ex-plain how it could be used, or to explain how it works. On Sunday afternoons we toured building sites, looking for new ideas. While imagining the completed product, I often explained how I will change the unfinished building to make it better. In my construction and design teaching, problems become opportunities and students are encouraged to challenge the evident solution with an alternative proposal. This first draft becomes the basis of fu-ture discussion and engagement. Various solutions are explored during the teaching process. The stu-dent’s informed opinion evolves and develops during the journey of discovery. My teaching philosophy is based on the process of discovery leading to greater sensory awareness. Spatial encounters center on finding a sense of place. I have to feel, touch, see, hear and smell. I am intrigued by texture and pattern. My treasure hunt with its roots in the hardware store continues to this day. I attend exhibitions, go to conferences, guest lectures and travel extensively. After each encounter, I return invigorated to aca-demia wanting to share my latest experience with my colleagues and students. Sharing happens when photos are stitched into various slideshows and movies, fabric are sewn into new garments and cultural experiences are weaved into new tales. I find it easy to engage in conversa-tion. I am open to new perspectives and often challenge the established notion. Ultimately, I learn more from my students during this process than what they learn from me. Nkambule studied at the University of Pretoria in 2005 (B.Sc.) and 2008 (M.Sc.) after completing his first year at the University of Swaziland in 2002 (B.Sc. in Physics and Mathematics). Later he completed his PhD in Architecture at the University of Pretoria in 2015. He worked as an intern both in South Africa and Swaziland during the period 2003- 2013 with various practices on small and large projects. 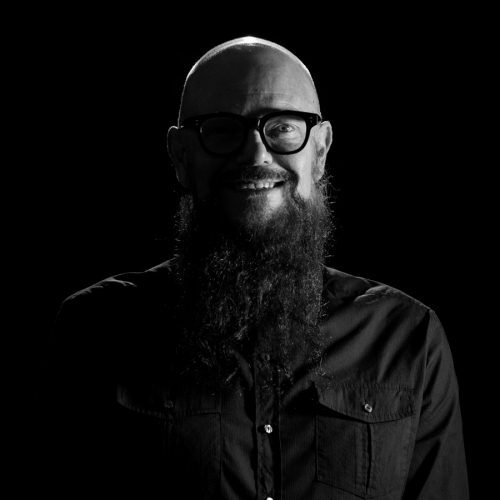 He has also collaborated with architectural practices in research projects and as a conceptual designer and strategist. 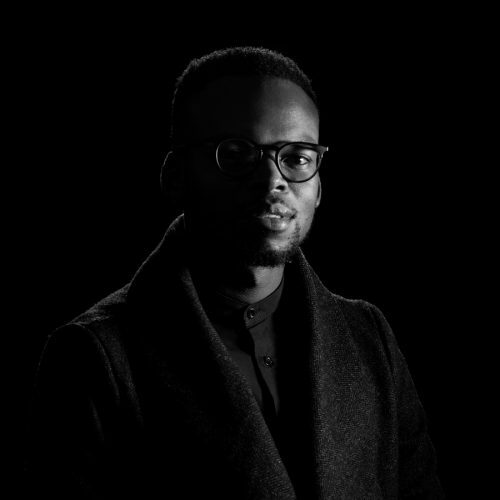 Nkambule’s involvement in practice is extended through judging in architectural competitions and awards as well as participating in practice-based postgraduate project reviews. His research activities are aimed at enlarging the territory and relevance of the architectural practice in the African context as it pertains to cultivating and growing micro-scale socio-economic activities. Nkambule has also been teaching at a number of institutions for over 7 years since 2010, with 1 year at the Swaziland College of Technology, 6 years at the University of Pretoria and currently at the Tshwane University of Technology. Nkambule’s particular teaching approach places emphasis on design-led and design-through-making research with an integrated design-technical disciplinary ethos. He subscribes to the opinion that the student’s declaration of independence, independent thought and intellectual leadership should be nurtured by a teacher from early stages of learning. For project-based design studio teaching he balances individual and collective learning, using an enquiry-led approach, asking students many questions as possible and encouraging them to find the answers with the hope that they will formulate their own opinions and define their own path. Nkambule chose a career in architecture because the practice of architecture could be something far-more reaching than just the making of buildings. It could be a medium for providing socio-spatial and socio-economic solutions in third world countries-fostering the ‘creative economy’, more importantly, in communities plagued by poor socio-economic conditions. In this way architecture becomes an avenue of honing skills, developing critical thinking abilities, generating ideas and convictions about why and how one lives, creates value and effectively meet the needs of humanity. In communities where the system of economy is broken, traditional ways of teaching and practicing architecture should be revisited. Pedagogical architectural inquiry on how to cultivate a culture of entrepreneurship is called for in third world economies, especially in Africa. 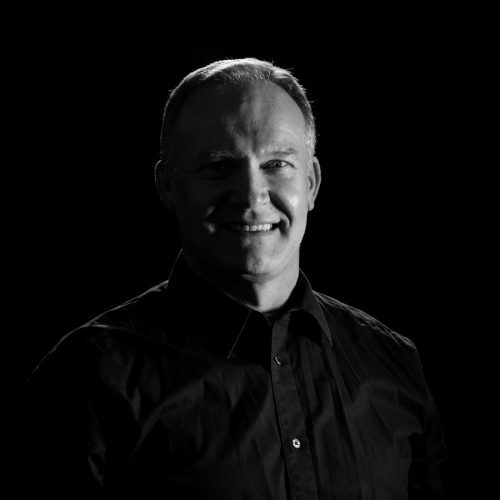 Hendrik Nicholas van der Linde is a South African senior architectural technologist/researcher/environmentalist. He is a full-time lecturer in architecture at the Tshwane University of Technology (TUT). Nicho studied at the Technikon Pretoria and obtained a Bachelor of Technology degree in Architecture (Applied Design) in 1997. He obtained a master’s degree in Architectural Technology in 2014 from TUT, researched curriculum mapping for the integration of sustainability principles into a future architectural program for a South African University of Technology. He worked as a senior architectural technologist in Johannesburg during the period 1998 – 2003 with various practices on small to large projects that included mixed-use, commercial, retail, and transport termini. He was employed in a multi-national office in Dublin, Ireland in 2001, gaining experience on complex scientific and educational buildings using advanced computer-aided draughting (CAD) methodologies and software. Nicho is a registered Professional Senior Architectural Technologist (PrSArchT) with the South African Council for the Architectural Profession (SACAP). Although his focus is mainly on academia and knowledge/skills-based practices, he has been in private enterprise working on a variety of small-scale projects. His teaching career began in 2004 at the Technikon Northern Gauteng where he developed and taught subject matter for several architecture subjects. He transferred to TUT in 2008 where he is currently involved with the 2nd year construction and design studio program. He coordinates the department’s computer related subjects and presents building information modelling (BIM) software at 3rd year level. He was invited in 2011/2012 as a guest lecturer who offered and examined a CAD short course at the Polytechnic of Namibia. Nicho presented a poster in 2014 of his research findings at the ‘Architectural Education Otherwhere’, International Union of Architects (UIA) World Congress in Durban. 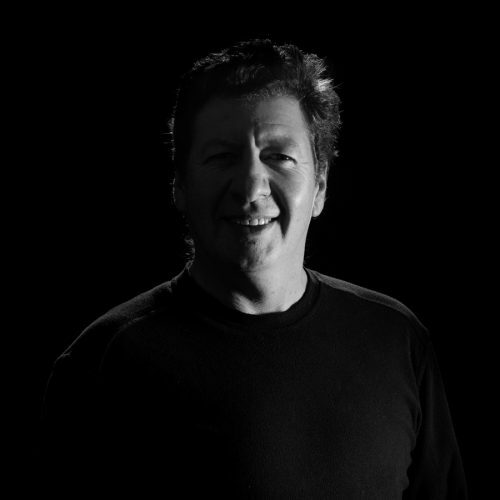 His current research interests of the human- environmental connection and the relationship between sensory experience and architectural perception for creating enhanced built- environments forms the basis for further investigation. He is in the beginning phase of doctoral studies to contextualise a framework for the intersection between neuroscience and architecture. After completing the qualification ND Architecture in 1987 at Technikon Pretoria Mostert joined the practice of Moore & Nel incorporated Architects in Pretoria. He worked there for seven years, mostly on Large Shopping centres, Office buildings, Factories, Warehousing and Schools. During his time at Moore & Nel incorporated and later at Bob Moore and Associates he got involved in Project management and Site supervision. In 1991 he was employed by Technikon Northern Transvaal, later Technikon Northern Gauteng as Lecturer in the Department of Architecture and Building. In 1993 he completed a Diploma in Tertiary Education from Pretoria University. Since the merger of the above institution with Pretoria Technikon he has been working as a lecturer in the Department of Architecture for the newly merged institution Tshwane University of Technology. He served on various professional bodies and committees including the Forum for viewing the Functions of the Statutory Build Environment Councils 1995 – 1998 and served on the SERTEC Committee for Evaluation and accreditation of the old Technikon qualifications. As an architectural technologist I specialize in the area of Technology, with a focus on sustainability and surveying of existing structures and artifacts. As an educator, my main purpose is to share the knowledge obtained through experience, research and study to young students to equip them with the necessary skills needed to become responsible practitioners within the architectural profession. I believe that careful preparation and a passion for your subject are the key factors on which teaching should be focused. Showing passion for teaching and being prepared, organized and ready for any situation has helped me to facilitate effective and successful learning in the classroom. In my opinion, a successful classroom consists of eager, enthusiastic learners ready to participate in discussion and work together with their fellow classmates to achieve a common goal. The subject matter must not only be challenging, but also rewarding. The learners must always feel comfortable and confident in asking questions and seeking guidance. I measure my success as a lecturer on my student’s ability to not only acquire new knowledge, but to truly understand how to apply this knowledge. No single subject can be taught in isolation but all the subjects should be seen as the interwoven knowledge called architecture. I believe that every construction detail should be designed with the same care and precision as the total building envelope. Gopolang Peace (GP) Motswai is a South African Architect/lecturer. He is a lecturer at the department of architecture in the faculty of Engineering and the built environment at the Tshwane University of Technology. Gopolang Studied at Tshwane University of Technology, where he obtained his N-dip Architecture in 2009, his B-Tech Architecture in 2010 and his M-Tech Architecture Professional in 2012. He worked as an architect in Pretoria from 2012 to 2015 where he was involved in large scale project in medical care facility designs. 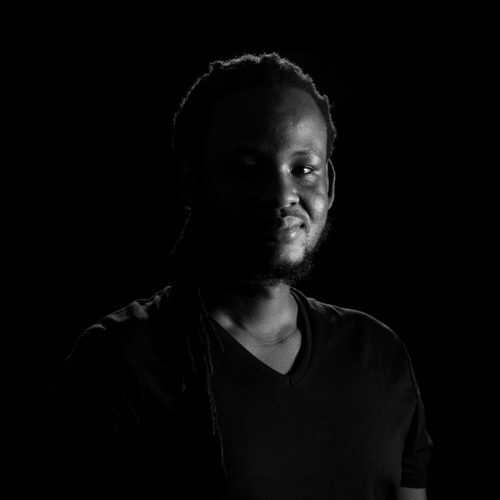 Gopolang is a registered Professional Architect with the South African Council for the Architectural Profession (SACAP) and while his focus is academic, he continues to practice as an architect on a small scale. As a lecturer at Tshwane University of Technology, he co-ordinates the first-year program and assists in marketing the department and its funding/bursary programs. He also served on the South African Council for the Architectural Profession (SACAP) validation panel. As an architect, I believe in the expression of our experiences in our way of life and the understanding of architecture as structure and space in gravity. My role in architectural education focuses on the cultivation of an awareness of the origins and traditions in space making and the freedom of expression in architectural design. As a steward of effective architectural teachings of primary concepts of design knowledge and understanding, this ideology seeks to promote the inquisitiveness of discovery and self-assurance. There exists a great divide between physical experiences of the students and the emerging images in their imagining mind. I believe in the bridging potential of the human hand as a tool that can assist the students to develop the ability to ingest and internalise design theories and technologies and formulate critical thinking and expression. With the adequate guidance, the hand drawings and models building skills by the students begin to put to practice the design principles learnt and express their craftmanship in bringing to life their independent thoughts. Architectural designs are expressions and responses as part our experiences in our way of life and thus seek to provide solutions that advance our civilization. For effective teaching, I believe that it is imperative to challenge and task the student with real world problems, in order to cultivate responsible problem-solving techniques that will address the social ills in their experience of societies norms. 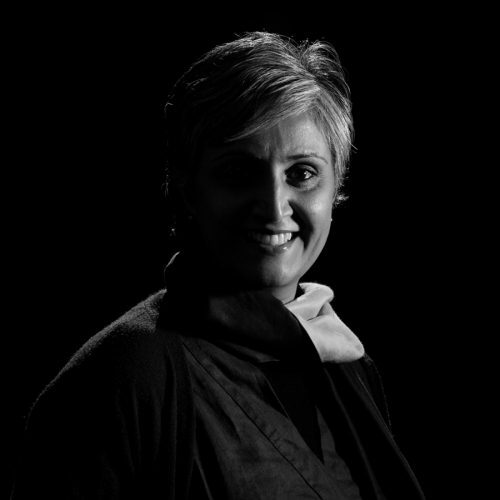 Sushma Patel is a South African registered professional architect, urban designer, lecturer and researcher. She teaches full time at the Tshwane University of Technology. Sushma has a Bachelor of Architecture (1997) and a Master of Urban Design (2017) degree, both from the University of the Witwatersrand, Johannesburg. As a student, Sushma participated in an exchange programme between the University of the Witwatersrand and the Academie van Bouwkunst in Rotterdam, the Netherlands. She has experience in working at several Dutch architectural practices as a stagiaire, including briefly at the office of Rem Koolhaas, OMA in 1996. Since graduating as an architect, she acquired 16 years of practice experience mainly in Cape Town, South Africa, during the period 1998-2012. She has worked with prominent architects Jo Noero, Heinrich Wolff, Aaron Wegmann and Luyanda Mpahlwa on socially significant buildings. During her time at ACG Architects, she worked on many social housing projects. She has contributed to the winning and built design of an architectural competition ‘10x10’, a low cost housing scheme in Mitchell’s Plain by MMA Architects. Sushma has gained insight into the policies and workings of state institutions while working at the National Department of Public Works as Chief Architect during the period 2013-2015. She was nominated by the Minister to be a member of the National Bid Adjudication Committee at the National Department of Public Works in 2014. Sushma is a past board member of the South African Council for the Architectural Profession (SACAP) which is the regulation authority of the profession during the period 2015-2017. She taught 3rd year architectural design part-time for 2 years at the University of Cape Town in 2010 and 2011. She has since been involved with teaching and examining at many Universities around South Africa. Sushma has been teaching at the Tshwane University of Technology for almost 3 years from 2015. She was an invited adjudicator of the Fuchs Award for best overall undergraduate student in the country in 2016 hosted by the University of the Witwatersrand. Sushma has a particular interest in the spatial fragmentation of South African cities and the need for increased density and integration close to the inner city. Her Masters dissertation and current PhD proposal centres around these themes. She is also a published researcher in the field of the ‘urban laboratory’, a research field identified within the Department of Architecture at the Tshwane University of Technology. She is the head of Architectural Design 5, teaches Principles of Urban Design 4 and currently is the head of post graduate studies in the Department of Architecture at Tshwane University of Technology. She has been involved with conferences; presented a paper at the University of Derby, UK in June 2017 and chaired a session at the AZA18 conference in Pretoria in 2018. Sushma is currently a reviewer for the editorial board of the academic journal AMPS (Architecture, Media, Politics and Society). As an architect and urban designer, I design space as a social and spatial, individual and collective experience. As an educator, I promote spatial exploration through a keen interest in serving the public. Students engaged in the educational process of learning architecture are exposed to the urban realities of our cities. It is only through the experience of others’ lived experience that we can better understand our cities. On-site work, walking the city, documenting, narrating and critically analyzing the physical and social conditions of place, leads to an improved understanding of our complex and often contested city spaces. Theory, construction and design are integrally connected. Reading and writing is an important way of bringing the city into being. Expressing through words fundamentally informs drawing and design. Though design is an iterative process, often subjective and subconscious, naming concepts is important for sharper articulation of logic and reason. Details and construction of buildings are the building blocks of design and is encouraged as part of the design studio. The studio is an important room for discussion and critique. Learning through individually doing and making is as important as learning from teachers and fellow students in the studio. Consistency of studio attendance is key to engaging with and developing design skills. Regular critique assists students in refining their design approaches. As an educator, I am more interested in the process of architecture rather than the product. Process driven design allows for students to explore through their own processes in more meaningful ways. Students’ skills can be honed and supported in this way. Process as a way of design also breaks down the evolution of design in a way that students can access the many multi-faceted aspects of design. It is also important to me that students are able to take a strong position and have an opinion on a particular subject. Finding individual voices not only builds confidence, but makes a good start for research in the later years of study and practice/academic life. We have inherited an uneven basic education system. Students in tertiary institutions come from very diverse backgrounds. It is important to me that the background, approach, ethos, ideology and world view of individual students are sensitively taken into consideration in the teaching environment. Inclusivity and integration of the diversity of the student cohort in the studio is vital to a good teaching setting. Academic research, apart from practice skills, are central to my teaching methodology. Research through, reading texts, precedent studies, design, site work and writing informs an already known body of knowledge to produce new knowledge. Discipline and work ethic are key to research. Different students access architectural design differently. Some have a more playful approach, others a more theoretical basis and still others a more practical one. No one approach is either right or exclusively desirable. Diverse ways of critically thinking and making is encouraged. Melchior Jacobus Stander is an architect and TUT architecture school graduate. He is a lecturer in architecture and together with Siegfried Schmidt, developed the foundation course at the TUT school of architecture. The course was developed in the period between 2011 and 2012, with the first intake of students in 2013. He has been a practising architect since 2003 and been involved in various aspects of practise for ten years, four of which he ran his own practise. He learnt valuable facets of understanding the complex world of architecture, which was then later built into the foundation course. During the year 2011, he returned to academia as a full time staff member with a renewed vigour to teach and disseminate what he had learnt in the previous ten years. He has been a full time lecturer at the TUT department of architecture since then. He is passionate about and specialises in the discipline of architectural sketching and rendering, being the lecturer for the subject architectural presentation in the first year. Together with his colleague Arno Pieters, he developed a unique style of teaching architectural presentation, which has been presented at the Pretoria institute of architecture on numerous occasions to practising architects. He is currently completing his PhD in architecture at the University of Pretoria and is studying the spatial usage patterns of Migrant peoples in African cities with a specific focus on the Pretoria CBD. Being a lecturer in architecture demands a lot of dedication. While working with young and energetic people is its own reward, there exists simultaneously the problem of transferring skills and true understanding in a complex and challenging learning environment. Being the facilitator for the foundation program, I engage daily with the bridge between the secondary education world, as it currently exists, and the much more challenging arena of tertiary education together with the complex environment of architectural education. Together with this goes the need for exposure and critical thinking skills, which are the fundamental building blocks of the architectural worldview. I believe it is critical that students first master these basic skills before embarking on the deeper waters of architectural studies. A well rounded and holistic worldview is encouraged that can transport the learner from rote repetition style learning to critical thinking at a level needed to survive the rigours of architectural studies. Punctuality, work ethic and planning are encouraged as habits that will serve the student successfully in later years. Stephen Steyn graduated from the University of Pretoria with a Master’s in Architecture (professional) in 2013. He embarked on an academic career immediately thereafter, teaching design in the third-year studio at his alma mater. While keeping one foot in the door of the profession with occasional design work – most notably with Laboratorium Architects in Pretoria – he expanded his academic offering by teaching design in the fifth-year programme at TUT from 2015. In 2016, he also joined the Graduate School of Architecture (GSA) at the University of Johannesburg as the Unit Leader for Unit 10, a post-graduate design-research studio focused on the intersections of political relationships and built forms. There, he also taught a seminar series at the GSA titled Uncommon Knowledge: Forgetting Immanuel Kant which juxtaposed the materialist and metaphysical strands of popular philosophy in order to critically illuminate them. While serving as the GSA’s Course Convener for History and Theory in 2017, he developed new programmes and structures with which theory and history could be approached and transformed. His design work as a student has been awarded at the national level with the Murray and Roberts Des Baker Design Award in 2010, and at the regional level with the Corobrik Architectural Student of the Year Award for Best use of Clay Masonry in 2013. In 2018 he joined the permanent staff at TUT as a Lecturer. In order to formulate a Teaching Philosophy, I have opted to open with a demonstration of one of my favourite teaching mechanisms, productive misreading. By moving the emphasis in the phrase from the word ‘teaching’ to the word ‘philosophy’, one would interpret the title of this piece not as a statement of a teaching philosophy, but rather a statement on the teaching of philosophy. And in doing so, one would open the question to new possibilities, and discover hidden depths. So, why teach philosophy? In an architecture school of all places? It is because an instinctive temptation when we are faced with problems, is to solve them. And in architecture, where the belief that things can be improved in some way is the foundation of almost all of our activity, this temptation is even more pronounced. But, we are never responding to all problems, we are at all times selecting some problems for study and by necessity neglecting others. An architectural project is — in practice, but even more so in the academy — a unique production, definition and selection of possibilities, an ordering of priorities and, as such, a critical, discursive activity. It is a form of knowledge. And a philosophy. Well before any ‘creative problem solving’, students of architecture are immersed in the creative production of problems. Should one be in too much of a rush, too weary, or simply unconscientious, one will select obvious, common problems. ‘Unhappiness should be replaced with happiness, discomfort with comfort’ and so on. While this seems reasonable, even ethical, on the surface, it can have unexpected consequences. Unexpected, because, in addition to being a discursive discipline, architecture is also extremely slow, making its effects practically impossible to determine through scientific inquiry, especially in a highly reactive cultural, political and technological context such as ours. Some of the things which make us uncomfortable or unhappy may be conflated with what makes us human, and to edit the environment to select for comfort and happiness may rob us in the long term, over many generations, of essential, if uncomfortable, characteristics. Since it is impossible to accurately predict what the interactions between forms and values will be, it is always a risk to express ideas in form, but within the relative safety of theoretical projects, students can refine their understanding of some of the nuances of interactions between forms and values. They can interrogate the forms they create to better understand the values they harbour, and they can interrogate their values to produce new problems which can be interpreted through form making. Through this method, students are encouraged to develop a talent for design. The word ‘talent’ is generally assumed to mean something like ‘natural or innate ability’. Its roots are however elsewhere, in will, desire and inclination. Talent is not something you either have or don’t have, it is something which can be acquired. Where there’s a will, there’s a way, so to speak. Teaching is often the facilitation and amplification of such a will. It is encouragement with the restraint of authenticity. It is a description of limits, boundaries and edges with the aim of rendering them more beautifully or transcending them. Leon Pienaar studied at Tshwane University of Technology, where he obtained an M-Tech Architecture Professional degree in 2004. He has lectured at Tshwane University of Technology and the University of Pretoria’s Department of Architecture since 2008. 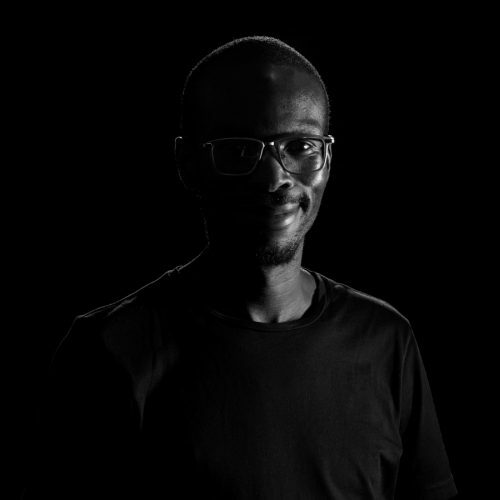 Leon is a Professional Architect registered with the South African Council for the Architectural Profession (SACAP) and while his focus is academic, he continues to explore architecture by implementing WikiHouse technologies. As a lecturer at Tshwane University of Technology, he co-ordinates the information technology program, serves as a design mentor for Master’s degree students and assists in the IT technologies implemented by the Department of Architecture. The Future of Fabrication: digital and physical transformations in the making of architecture. Although the making of architecture is now thoroughly entangled with the development of digital and mechanical technologies, craftsmanship remains essential. To support this, a new making laboratory and assembly workshop known as m² LAB has been established in the Faculty of Engineering and the Built Environment (FEBE). The m² LAB is based on the principles of the MIT Fablab and it gives students access to advanced subtractive manufacturing equipment, while fostering a culture of interdisciplinary collaboration in design. Amongst others, the equipment in the m² LAB include an industrial Computer Numerical Control(CNC) router and a fibre-laser cutter. The CNC router is capable of cutting large plywood and aluminium sheets. The fibre-laser cutter can cut through thick and strong materials. These machines allow students to explore design possibilities of real construction materials in complex formal arrangements. The facility and equipment in the m² LAB are shared by the Departments of Architecture, Mechanical Engineering and Industrial Design. The m² LAB, is supplemented with a MakerSpace, an assembly workshop internal to the Architecture Department. This workshop is equipped with electrical woodwork and metalwork machines as well as a large collection of hand tools for production and exploration. A 3D printer is also available to develop and make prototypes. The m² LAB and the MakerSpace are environments which allow students to gain first-hand experience in the manipulation of different materials. Craftsmanship takes place in a digital environment to realise design ideas. The m² LAB and the MakerSpace allow future collaboration between academics, policy makers, users and society at large. I believe that the development of new design ideas through digital craftsmanship will ultimately contribute to a more resource efficient environment.